I am publishing posts each Friday this Lent as I work my way through the latter half of volume 1 of The Philokalia, trans. Palmer, Sherrard, Ware. If you wish an introduction by me, read here; by Kallistos Ware, here. At present, I am reading St Neilos (or Nilus or Nilos) of Ancyra’s (modern Ankara, Turkey; he died around 430, we think) ‘Ascetic Discourse’, on pages 199-250 of the English translation of The Philokalia, vol. 1. The text begins with some insights into wisdom and the philosophic life, as I blogged last Saturday. From here, Neilos moves into a discussion of how the monastic profession and ascetic life has fallen from its original ideals. Monks attach themselves to wealthy people and live in cities. They own property and are as undisciplined as anyone else. It sounds rather high mediaeval, if you ask me! St Neilos is in the era of what I think of as the ‘second generation’ Desert Fathers (he’s not in the desert, of course), after the Origenist Controversy at the turn of the fifth century, when Antony, Pachomius, et al., are now ideals to pursue rather than the living embodiment of the monastic call. He is a contemporary of Shenoute of the White Monastery in Egypt and St Simeon the Stylite in Syria, as well as Sts Augustine of Hippo and John Cassian in Marseille. 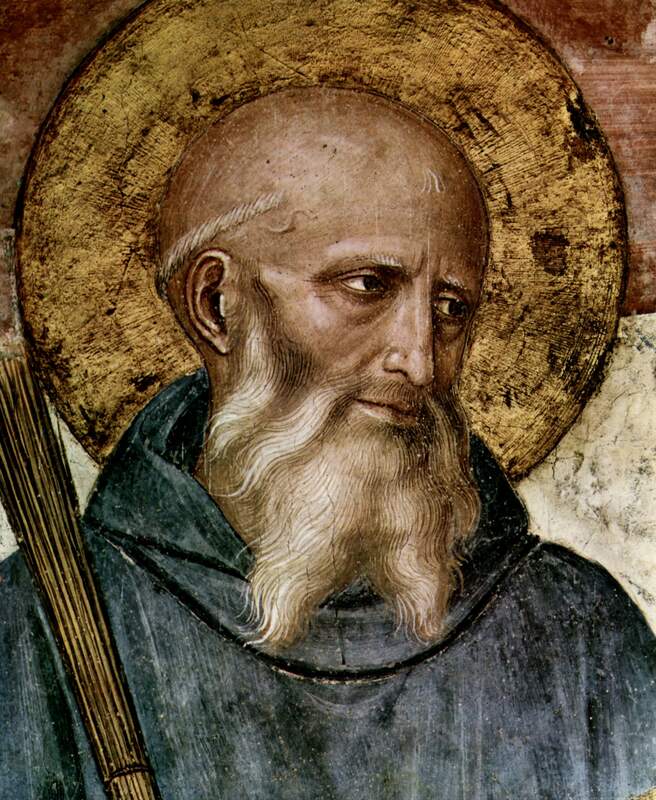 Monasticism in St Anthony’s day sort of began partly as a protest movement against a perceived ‘worldiness’ taking over the church after her alleged ‘triumph’ in the conversion of Constantine. Those who entered the deserts of Egypt, Syria, and Judaea with high ideals did so because they felt that the pure, high calling of the Christian life, the pursuit of Godmanhood, had been compromised by life in the city. So they went to the Desert and did battle with demons. But 100 years later, it seems that rot has set in. The renewal and reform movement must be renewed and reformed. Ecclesia semper reformanda — it’s not just a motto for Protestants. St Neilos’ initial complaint is the amount of property monks and monasteries own. From St Anthony to Evagrius and Jerome, property was to be renounced by monks, family was to be forsaken, status to be shunned. St Neilos has some wise words about status we should consider wisely today, I think. St Neilos’ concern with status is not worldly status but ‘spiritual’ status. Too many people are becoming spiritual directors too soon. These are men who have learned with their minds the teachings of the Fathers but have not lived the ascetic life, they have not experienced and enjoyed and endured the contest and the training in the battle for the human soul, the fight for purification. When I read this, I think about this blog and realise my own inexperience. I am certainly not qualified to be a spiritual director! Now, I do not want to sound critical of contemporary spiritual directorship. But it is a different creature from what St Neilos describes. Having people take the enneagram or lead them on guided meditations inspired by St Ignatius Loyola or helping them find what spiritual gifts they have or using modern psychological analysis to help them find the wounds in their hearts that Jesus needs to cure or whatever — this is not the desert tradition of spiritual directorship by any means. The tradition of the desert, that lives today among the Orthodox with the Russian word staretz for the spiritual elder, is about wrestling for the salvation of the disciple. It is sitting and talking to learn the disciple’s thoughts and heart and mind. It is praying. It is about obedience. It is about life lived together, life shown as example, not a half-hour sessions every fortnight to help us ‘grow’ spiritually. It is about the transformation of the human heart into the likeness of the Godman, Jesus Christ. It is about theiosis, deification. It is about grace, for no one is qualified for this job. This is, I think, something vitally important in our communal life, in homes, churches, workplaces, other communities. No one is above works of service. Service is love. There is a story from the Desert Fathers about a monk who visited one of the monasteries, and they invited him to join them in their manual labour, and he remarked that he was there simply to pray. They took him to his cell and left him there. Eventually, after several hours, he grew hungry, and he was wondering when they would eat, for no one had come to get him. Growing curious, and a bit concerned, he left his cell to seek out the abbot and asked him about when supper was. The abbot remarked that they had not called him for supper, since he was so spiritual that he did not need to work with his hands, clearly he did not need to eat carnal food, either. There is more to say about manual labour in RB later, of course. But no one is exempt from the service of others in the Rule. One of the reasons why St Basil the Great (of Caesarea) favoured communal life over hermits was because how can you fulfill Christ’s commands to love and serve each other if you are hermits? In our communities, this means that elders, wardens, pastors, priests, deacons, deaconesses, et al., take their turns in the mundane aspects of church life. My minister in Edinburgh was often invisible in the kitchen at events. In Durham, my minister helps set up and take down equipment before and after services. Growing up, my dad (a priest) spent a lot of time at the food bank that ran out of our church unloading and distributing food. Whether you hold an official post in the church, service, which leads to humility and is an act of love, can (and should!) be part of your Christian life. Wash dishes, cook food, take care of babies in creche, organise Sunday School storage cupboards. This all serves the Kingdom of Heaven. 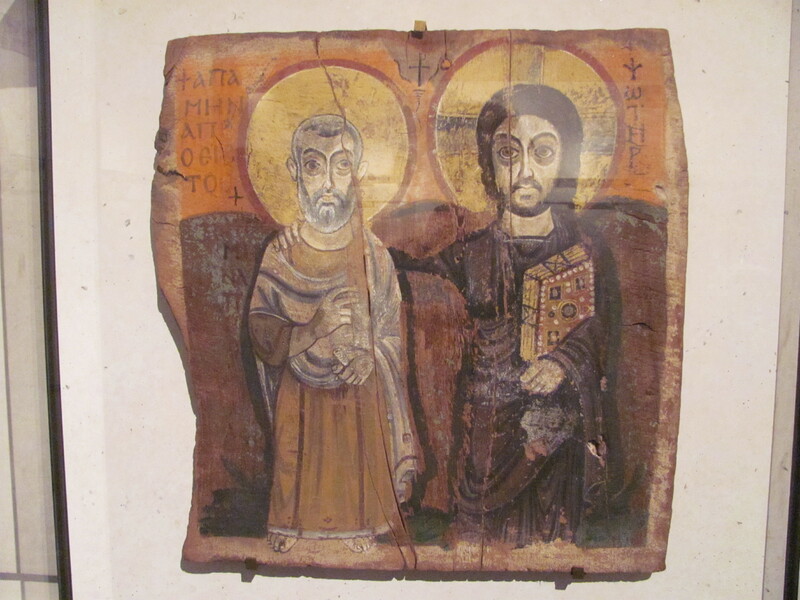 Reflecting on broad lessons we can take away from late antique and early medieval ascetic texts such as the Rule of St Benedict, I think three of the biggest are: community, prayer, and property. More and better of the first two, less and better of the third. This is something that emerges time and again in these sorts of texts, my post yesterday being but one of many (links at bottom). I find meditating on these words and turning them over to find what they really mean and what they might mean for my life very useful. It is a universal monastic virtue. I’ll blog on that another time. Because God is watching us, we should keep the fear of God in our minds. This is similar, but a bit less optimistic, than the saying of St Antony the Great that one should keep the thought of God in mind at all times. Benedict’s indebtedness to this tradition comes out at the fifth of his twelve steps to humility: confessing all wicked thoughts. Here I think of St Antony telling his followers to keep a journal of their thoughts. Elsewhere in the Desert tradition, we read of injunctions to confess all thoughts — good or bad — to one’s Abba in order to keep the thoughts under control. This develops in Eastern Orthodoxy into the tradition of the spiritual father, the geron or staretz, such as Elder Zosima in The Brothers Karamazov or, in real life, St Porphyrios (d. 1991) and Archimandrite Sophrony (d. 1993). The sixth step is very important — being content with your station, even if it is the lowliest. No raising yourself above others at any time. Step 9 — the power of silence. We’ve been here already. For part 1 of the series, click here, and for part 2, click here. My study of ancient Christianity has made life difficult for me, these days. I find myself committed both to liturgy and to historic orthodoxy. My commitment to historic orthodoxy, discussed here, drives me to seek liturgy. And my understanding of the sacraments, under the influence of the ancient church, drives me to seek weekly Eucharist, celebrated liturgically. But my study of ancient Christianity did not begin with doctrine, liturgy, sacrament, episcopate. It began in the Desert. Although I am now a scholar of medieval manuscripts and papal letters, I started out with a desire to apply the methodology of classical philology and ancient history to ancient monasticism. 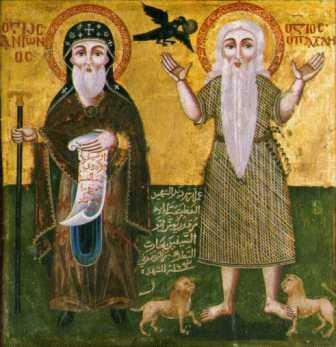 In undergrad, after a love affair with St Francis of Assisi and flirtation with St John of the Cross, I met St Antony the Great and the Desert Fathers . Here was a new, strange phenomenon. Here were the roots of the monastic tradition of Francis of John! 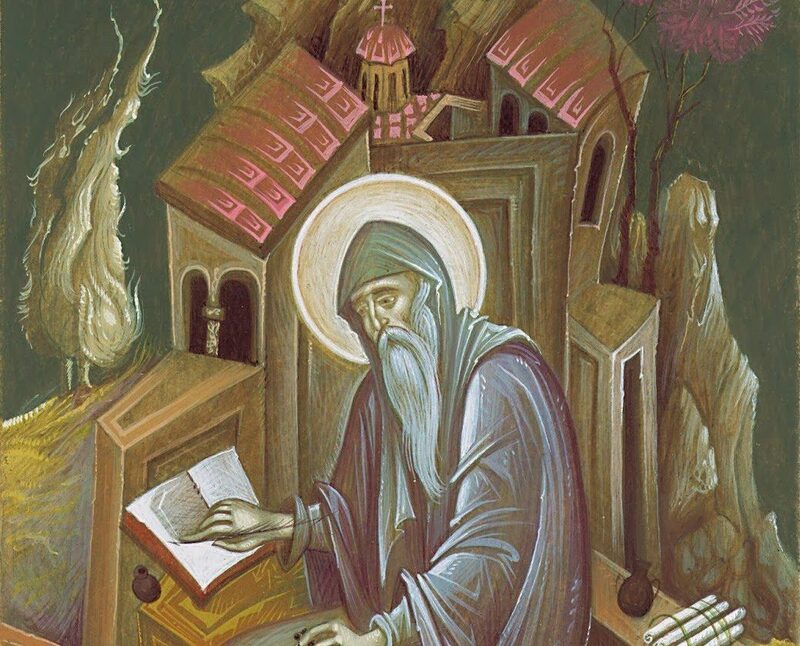 I wrote an undergrad essay on the Desert Fathers, drawing largely on The Desert Fathers: Sayings of the Early Christian Monks and the Life of St Antony published by St Athanasius. In my first Master’s degree, I wrote about John Cassian and Evagrius Ponticus, drawing in a variety of other desert sources along the way. My second Master’s thesis was about the monastic lives written by Cyril of Scythopolis and John of Ephesus in the age of Justinian, and one of my coursework essays was on St Gregory Palamas. Between degrees, I visited Cyprus where I first really met the Orthodox world. I inhaled their incense. I considered their icons. I read the first few authors of The Philokalia — themselves ancient Greek monks! On a return visit to Cyprus, I visited Machairas Monastery in the Troodos Mountains. I have subsequently spent time with the Benedictines of Sankt Paul im Lavanntal, Austria. Furthermore, in the first year of my PhD studies, I organised a reading group about ancient monasticism (but we also brought in a little St Hildegard for good measure). My engagement with the teachings, lives, spiritual practices, and oddities of ancient monasticism from St Antony through St Benedict to St Isaac the Syrian has changed me in subtle ways, I believe. I crave the kind of single-minded devotion to God they sought and sometimes attained. I go through spells of praying at least Morning Prayer. I used to fast. I love reading their writings, even when they are hard to grasp or impossible to apply to my situation as a married layman. Loud music, emotive worship leaders, forced happiness, a feeling of being untethered from tradition — none of these things is conducive to the contemplative life sought by the ancient monks. And I think that rock concert worship events are part of the rootlessness of modern evangelicalism, part of why we often feel like we can preach morality but seem incapable of teaching it. A richer, calmer setting that makes room for the contemplative alongside the active, for prayer beside preaching, for meditation alongside proclamation — perhaps this can help us. As I say, this part of who I am is more nebulous a reason why I crave liturgy and believe that it is important. And, to say it one final time, if God has used the ancient church in my life through these ways, why should I go back on what He is doing in my life? This is the subjective reason that tugs at me all along the way. What is the point of all the thinking and studying I have done if I just end up going to same sort of happy-clappy, non-liturgical church that I would have attended anyway? Shouldn’t our private faith have public ramifications? My brother and I have been slowly working our way through The Philokalia. The last part we finished was the selections from St John Cassian. Those of you who have put up with my musings long enough know that I wrote a Master’s thesis on Cassian’s reception of Evagrius’ demonology. He’s a character I enjoy, a teacher I appreciate, a spiritual teacher who challenges me every time I read him. There are two selections from Cassian adapted by Sts Nikodimos and Makarios in The Philokalia, one from The Institutes and the other from The Conferences. These are Cassian’s two major works, written in Latin in Gaul in the first half of the fifth century — John Cassian has the distinction of being the only Latin author represented in The Philokalia. The climax and crowning moment of Cassian’s Institutes is a discussion of the eight vices, adapted from his never-named spiritual father, Evagrius of Pontus (‘the Solitary’) who immediately precedes him in this Athonite anthology. This is excerpted in The Philokalia. I’ve blogged about the eight thoughts before. Today I’ll briefly summarise the version in The Philokalia with some of my own thoughts. The ‘Eight Thoughts’ (precursors to St Gregory the Great’s seven deadly sins) are: gluttony, unchastity, avarice, anger, dejection, self-esteem, and pride. Frankly — more than just overeating. I’ve talked about this once before. Cassian tries to get at the root of the problem — the human heart. I’ve mentioned Evagrius and avarice here before. Cassian argues that, while some passions are natural to us, avarice is, in fact, foreign to our nature, so we must do our best to keep it from taking root in our soul. I found most of his advice on avarice unhelpful to the non-monk, unfortunately. As you may know, I sometimes struggle with anger, and have enlisted the Desert Fathers and Evagrius in the past. Anger is considered part of our nature, and is not of itself evil. It exists to help us fight against sin, temptation, the other passions. However, it can easily cause us to go astray, even when we are angered about things that it is right be angry about — gold leaves blind the eyes just as well as lead ones (p. 83). That idea, in fact, comes from Stoicism and is very prevalent in Seneca. This is the vice of getting a bit bored and frustrated, then dissatisfied with your own work or monastery. It is called the noon-day demon in Cassian’s Latin original. It is cured by hard work and forcing yourself to stay put. Some years ago another blogger related this vice with the modern evangelical tendency to church hop. An interesting thought. This is seeking to be recognised by other people for being good at something — for monks, obviously the question is virtue. For the rest of us, no doubt it is whatever our occupation is. A job well done is not reward enough. Recognition of the self must follow. This is the most subtle and serpentine vice of all. It can only strike you once you are holy, but is enough to drive you to the pit. This is the over-weening belief in your own holiness, an awareness of goodness — or rather, a false awareness, that leads you to believe yourself better than others. These eight are intimately linked. And they are best fought by the cultivation of virtue. It is easier not to overeat by eating moderately than by fasting excessively. It is easier not to lust by consciously reading the Scriptures than simply trying not to lust. And so forth. Next time, Cassian’s thoughts on discernment and the goal of the monastic life as excerpted in the next section of The Philokalia. The question is: How can we apply this to ourselves as non-monks, as laypeople? On Sunday, the minister preached about fire, about the Holy Spirit as fire, recalling some of the famous biblical images of fire, such as Elijah’s chariot of fire (2 Kings 2), the fire burning in the hearts of the disciples at Emmaus (Luke 24:13-35), and the ‘fire’ of love that the Holy Spirit kindles in our hearts. I do not dispute any of what was said, nor its significance. Nonetheless, I was drawn to fire of a different sort. If we think on the Psalms that inspired that song, such as Psalm 97, the allegorical reading of the Psalms as described by John Cassian (d. 430s; see my posts Killing Enemies & Bashing Babies on Rocks: Reading the Difficult Psalms, Pt. 1 and Pt. 2) allows us, as Christians, to consider the enemies in question as not human but spiritual (like the Babylonian babies in Psalm 137:9) — sins, vices, demons. The enemies that the Lord’s fire consumes are within us; in the language of Cassian’s spiritual master, Evagrius of Pontus, these are logismoi; they are also the passions when disordered — but most importantly, they are sin when the logismoi and disordered passions incarnate themselves in our actions. My thoughts were next drawn to the words of another song from my Albertan Anglican youth, by fellow Canadian Brian Doerksen, ‘Refiner’s Fire‘. I loved this song back in the 90s, and I still agree with its sentiment and the cry of the charismatic heart from which it issued. In Doerksen’s words, thousands of us have prayed for God to purify our hearts, to make us holy, to cleanse us from our sin (deep within) — using the image of a refiner’s fire, to make us pure like gold and precious silver. I can only imagine that a refiner’s fire, and the crucible that rests in it, must be very, very hot. One of the facts about fire that was brought forth on Sunday is its destructive force, as in the recent wildfires in northern Alberta, most notably at Fort McMurray. We have all seen images in the past few weeks of these fires in action, and now photos of the devastation are starting to come in. Doerksen’s prayer never made me uncomfortable when I was a teenager. Often, but neither always nor everywhere, the charismatic movement has been more interested in such purification as being comforting, as the warmth you feel in moments of ecstatic contemplation. And it can be. And it is. My readings in the ascetic and mystical tradition as an adult have made me realise that if we wish to enter a crucible (refiner’s fire) so as to emerge as gold (pure gold), or if we want, to quote another song from the Vineyard, ‘more love, more power, more of [God] in my life’, we will struggle for it — the dross wishes to remain. Our sin, the disorder of fallen passions, and the temptations of logismoi fight back at every turn. The daily battle with temptation and long, slow progress in holiness prove this. None of this is to say that my minister and the charismatics are wrong. Rather, it is to see the purifying flame of the Holy Spirit from a different angle. One of the Desert Fathers says that prayer is struggle to your last breath. Another says that if you are not being tempted, this is because you are already sinning. The modern Athonite mystic Archimandrite Sophrony of Essex (d. 1993) says, in His Life is Mine, that living as a Christian will always mean struggle. Our hearts are fickle. We need the fire of the Holy Spirit to come and destroy the Lord’s enemies in our lives; we need the fire of the Holy Spirit to come and melt us and burn away the dross in our hearts. And this will hurt as the Spirit burns away our tendencies towards gluttony, greed, sloth, sorrow, lust, anger, vainglory, and pride (to cite Evagrius’ and Cassian’s Eight Deadly Thoughts/logismoi, later shifted into Seven Deadly Sins by Gregory the Great). I entreat you not to leave your heart unguarded, so long as you are in the body. Just as a farmer cannot feel confident about the crop growing in his fields, because he does not know what will happen to it before it is stored away in his granary, so a man should not leave his heart unguarded so long as he still has breath in his nostrils. Up to his last breath he cannot know what passion will attack him; so long as he breathes, therefore, he must not leave his heart unguarded, but should at every moment pray to God for His help and mercy. -Ch. 15 of ‘On Guarding the Intellect: Twenty-Seven Texts’, in The Philokalia Vol. 1, p. 25, trans. G.E.H. Palmer, Philip Sherrard, and Kallistos Ware. This is the path to holiness and freedom, and the Holy Spirit will not only purge but warm — the Paraclete will come alongside us to comfort us. As Theophan the Recluse (d. 1894) reminds us, while we need to do this work ourselves, it is precisely in the Spirit’s power that we are able to do it. Therefore, let us be of good cheer as we prepare for the coming of the Holy Spirit to burn up all the Lord’s enemies and purify our hearts this Pentecost season. Yes, this burning flame will hurt — but it is the pain of a doctor curing a wound. We must not let desire for comfort and a life of cheap grace stand in the way of holiness and life abundant.